Richard is a made in Italy sofa with decorative ribbons and cover in fabric, leather or eco-leather. 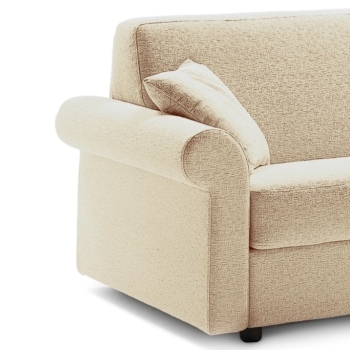 Armchair, 2-seater and 3-seater models available. 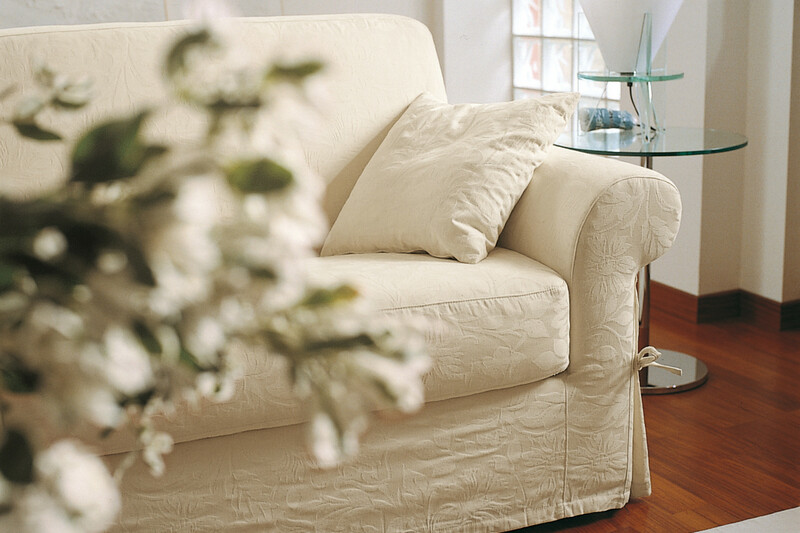 Richard is a sofa with decorative ribbons and curly armrests that give it an elegant look with a timeless design. Inspired by the traditional family sofas, it is ideal in homes furnished with a classic style, and and in classy houses with a country and Occitan style. 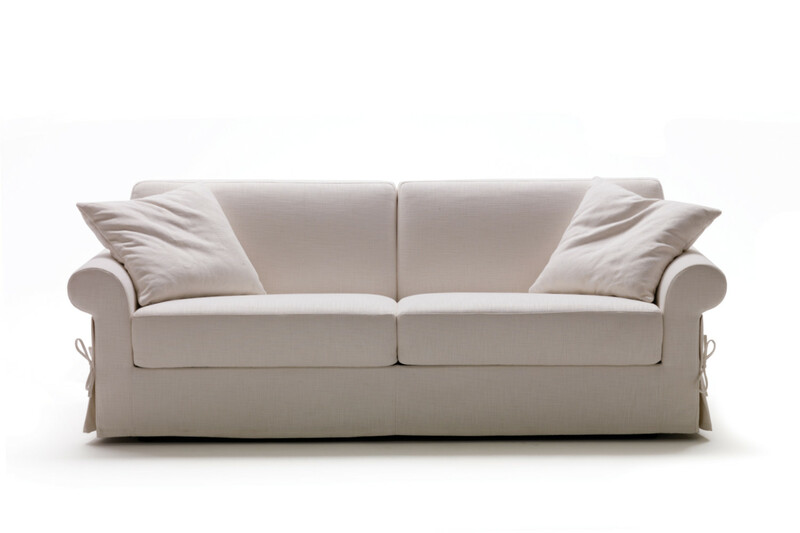 Richard is available in 2 or 3-seater models, also in maxi versions, with a wide range of removable covers including fabric, leather and eco-leather. Depending on the cover, Richard can be chosen in a "tight" version or in one with decorative ribbons that enhances the armrests structure. 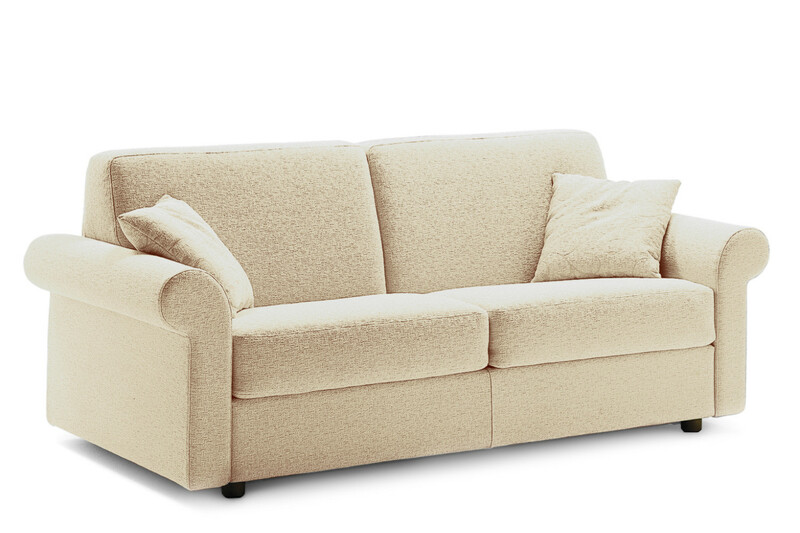 The sofa can become even more comfortable thanks to additional matching headrests. Richard sofa cover is removable and available in fabric, eco-leather and leather, in all the colours displayed in the samples page. The model with "decorative ribbons" is only available in fabric. 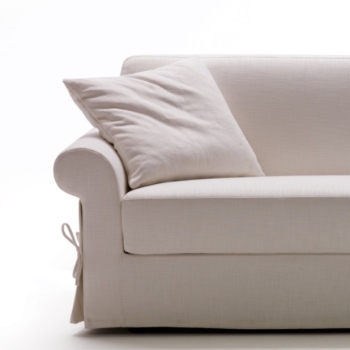 Richard sofa is available with "tight" cover or completed with "decorative ribbons" on the side of the armrests structure. Mechanism or structure: high resistance furniture tube, oven coated with epoxy powders. Seat with elastic webbing.